While in Tampa over the All-Star weekend, Erik Karlsson sent the internet abuzz with trade speculation. By hanging out with Lightning defenseman and fellow Swede Victor Hedman during the weekend’s festivities, Karlsson unintentionally started numerous conversations about his future with the Ottawa Senators. While having fun with a fellow countryman and wearing a pirate outfit are far from a trade request, it does bode the question… what if Karlsson was traded to Tampa Bay at the deadline? You don’t need an expert to tell you that the Lightning adding someone as talented as Karlsson would be, in a word, ridiculous. Not only is he one of the best defensemen in the world, his antics during the All-Star game fit with the culture of the Lightning locker room. 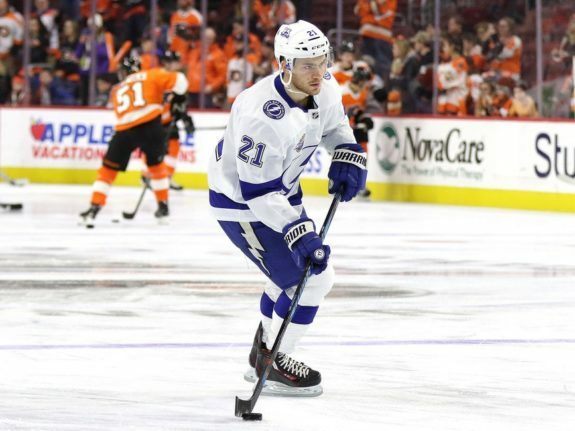 The magic he could weave with the likes of Nikita Kucherov, Steven Stamkos and Brayden Point both on and off the ice would simply be fun. With that thought in mind, it’s almost a shame that there’s no scenario where the Lightning can bring in Karlsson at the trade deadline. 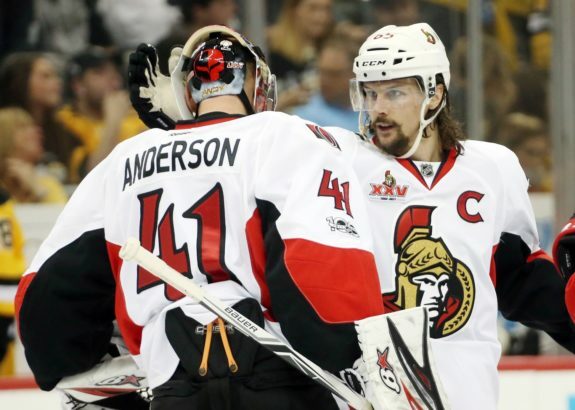 Starting off, a player of Karlsson’s magnitude would require a king’s ransom for Senators’ general manager Pierre Dorion to even consider trading. For the Lightning, that would mean sending a top young roster player like Mikhail Sergachev or Brayden Point to even get the conversation started. In addition to a current roster player, you would likely need to add at least one top prospect on the level of a Cal Foote or Taylor Raddyish along with multiple high draft picks. Putting this together, you could imagine a trade package including Point, Foote, a 2018 first round pick, a 2019 first or second round pick and potentially an additional AHL prospect to pry Karlsson from Ottawa. In this theoretical trade scenario, Lightning fans would understandably suffer from some serious sticker shock. During his tenure as the Lightning’s GM, Steve Yzerman’s largest deadline trade brought in Brayden Coburn from Philadelphia. In that trade, he sent a first and third-round draft pick along with Radko Gudas to Philadelphia. While that was not a small trade by any means, it’s a relative bargain compared to Karlsson’s potential cost. Nothing in Yzerman’s history suggests that he would make a trade this expensive at the deadline. Besides, even with a farm system that could absorb the loss of multiple top prospects, trying to replace linchpin players like Point or Sergachev mid-season would take time. With the Lightning competing for a cup this year, time is a valuable resource that can’t be wasted trying to get the system running back at its full potential. Even if the Lightning did decide they could afford Karlsson at the prospect level, they couldn’t absorb his current $6 million contract. With the team having around $2 million in cap space, they would need to shed additional salary before the deadline. This would mean trying to find a team to take on one of Alex Killorn or Ryan Callahan’s albatross contracts or moving a few smaller salary players to make the needed space. With Karlsson signed until the 2018-19 season, the Lightning would need to negotiate a new contract with the former Norris Trophy winner around the same time Kucherov will be expecting a pay raise. Given their high level of play, both players will likely be demanding contracts of $8 to $10 million per year. For any team, that would be a tall order, but with the Lightning already having multiple players costing around eight million a year in Hedman and Stamkos, fitting two more under the cap would not be feasible. If the Lightning made a trade for Karlsson, the expectation would be to win the Stanley Cup this season. Just reaching the Final wouldn’t be enough with the number of prospects and futures involved in a trade of that caliber. The problem is, hockey is a weird sport sometimes. Major midseason trades rarely end with a championship as chemistry and momentum all change with roster additions. Look at the New York Rangers or Washington Capitals over the last five years or so. Both teams have invested heavily at the deadline to build a ‘superteam’, if you will. While these investments had some payoff, as the Rangers reached the Stanley Cup Final in 2014, neither team reached their ultimate goal of a championship. While bringing in great players didn’t make the teams worse, it did require a significant investment of futures to come up short anyway. The Lightning will be a playoff team this year no matter who they trade for. Once the playoffs start, however, there are no guarantees. They could invest in Karlsson and lose in the first round anyways due to a bad matchup or an injury. Also, just because the Lightning could have a starting line-up consisting of Stamkos, Kucherov, Hedman, and Karlsson, it doesn’t mean that any of these players will find success together. 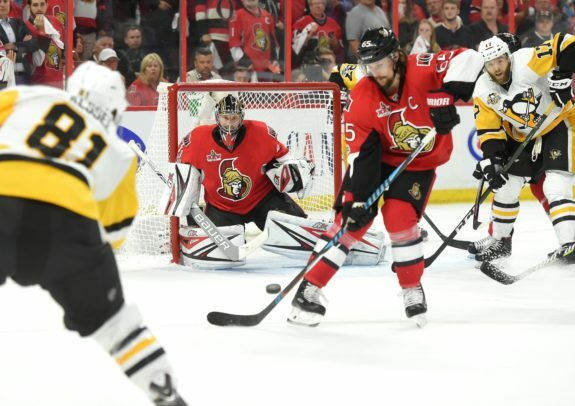 If Karlsson wasn’t playing up to his typical Norris standards, the trade could become a costly mistake that haunts the team for years afterward. Until the final minute of the trade deadline, we will continue to hear speculation about the Lightning acquiring Karlsson. This makes sense, as the topic is enticing and fun to talk about. In reality, though, that’s all it will be… just speculation. While the Lightning could try to make a run at Karlsson, nothing in Yzerman’s history says he would do so. Besides, when a team has been as consistent as the Lightning have been all year long, it would be a fool’s errand to try and fix what isn’t broken.